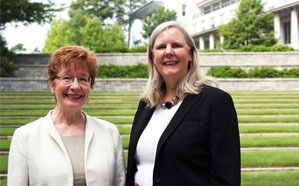 Emory Law faculty are innovative and dynamic teachers both inside and outside of the classroom. Our faculty are experts in their fields and have published widely in leading law reviews, books, and textbooks. Renowned legal experts share their expertise in conferences, symposia, panel discussions, and other scholarly events throughout the year. 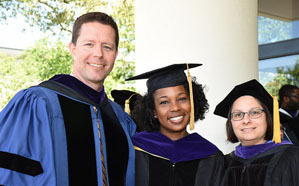 Emory Law students have access to leading scholars and outstanding teachers from the United States and around the world—providing opportunities to work closely with experts both inside and outside the classroom. Our professors have unique backgrounds and interests, from pioneering feminism and legal theory to exploring the intersection of law and religion to fighting for justice for military combatants and veterans. They come to the classroom with extensive practical experience, having clerked for federal judges and practiced law for the public sector, businesses, and private firms. They are renowned for their dynamic and innovative teaching, and they are published in leading law reviews, books, and textbooks. Our excellent student-faculty ratio of 12.6 to 1 fosters a culture of openness and collaboration that allows you to receive individual guidance from these brilliant legal minds. Our faculty will help you realize your goals and encourage you to explore new opportunities. 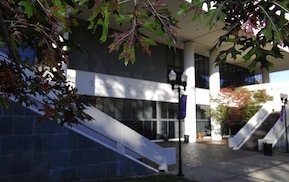 Emory Law's esteemed faculty are experts in their respective areas of law and dynamic teachers in the classroom. Go to our faculty profiles to learn more about their expertise, scholarship, and engagements.